LCSMessengerHistory 3.0.4.0 is now available. Go to the source page to get the source code. 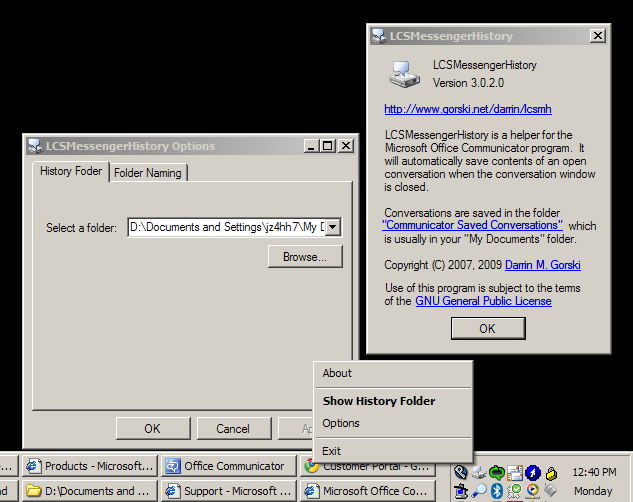 When used with Communicator 2007, LCSMessengerHistory can be adde to the Communicator context menus for easy access to previous conversations. 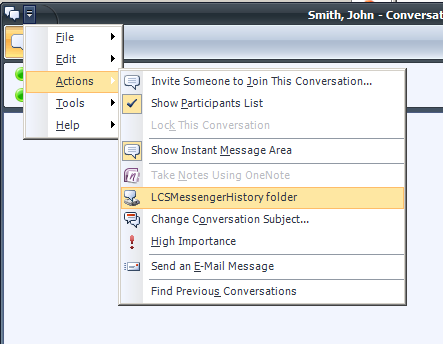 The LCSMessengerHistory tray icon provides access to the program's functions. The new Options item adds the ability to customize cartain aspects of the program functions. Copyright © 2011 Darrin M. Gorski. LCSMessengerHistory is released under the GNU GPL license.